The organisation has several objectives to continue to achieve this vision, including protecting the heritage of the parks and their assets, educating visitors about the parks importance, creating outreach to make the parks a bigger part of people’s lives and conservation and support of the wildlife and biodiversity. This relatively new event, only beginning in 2008, raises money for both the Royal Parks Foundation and allows many other charities to benefit from the event. Over the last five years the half marathon has riased over £15m in the name of multiple charities. 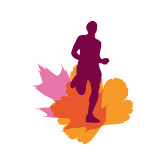 Approximately 16,000 runners took part in the ‘Royal Parks Foundation Half Marathon’ on Sunday, 6 October 2013. This number was made up by some of the most well known names in the UK who ran side by side with the public on Sunday. Katherine Jenkins, Sian Williams, Jennie Falconer, Sophie Raworth and Linda Barker were all running for their respective causes, just to name a few! EventBeat provided a brilliant way for supporters and participants to have their say during the occasion. The Twitter Wall up on the big screen in Hyde Park broadcasted a total of 415 comments and images from across social media, ranging from supportive tweets from family members of partaking runners, and of course pictures of runners themselves. The Twitter Wall allowed participants to share their experience of the day, and for the organisers to thank everyone for their great effort which was broadcasted live.